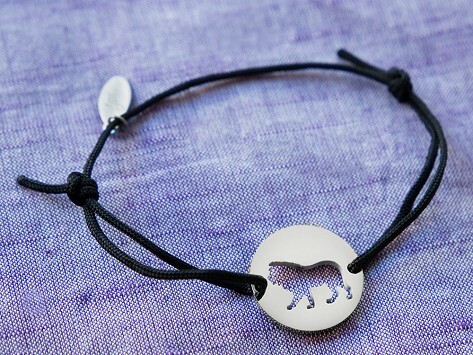 This minimalist spirit animal bracelet bound to inspire, whether you believe in a kindred creature or just have a favorite animal. The charm cleverly represents the animal’s soul using negative space to form its silhouette. Beautiful, loved the detailed information given about it. I bought this as a birthday present for myself. Great quality. I wear it often. I bought another as a gift for a friend. They were delighted! I Love cats so I figured I would like this bracelet! They are easy to get onand off and very casual! These bracelets are very nice, I Love to have my Spirit Animal close to me! This minimalist spirit animal jewelry lets you channel your kindred creature, or—if you’re not into spirit animals—simply show off some style. 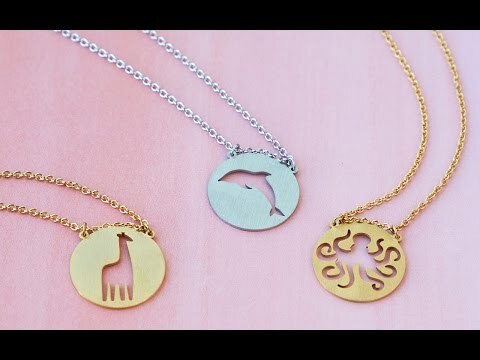 Maker Jenna Consiglio uses negative space to create a simple animal silhouette on metal charms. It’s an inventive, stylistic symbol of each one’s soul. Show allegiance to an animal that represents skills you want to learn or embodies some of your salient traits in a positive way. Jenna believes they can guide us in our journey to better ourselves. If you don’t know your spirit animal, Jenna can help you. She created a fast four-question quiz to find your four-legged or flying match.